Fifer Garbesi is a virtual reality producer and documentarian from Northern California. See your world differently with Playground on Pixel: interactive AR characters powered by computer-vision. A Virtual Reality Memorial honoring the 2017 Nobel Peace Prize winner The International Campaign to Abolish Nuclear Weapons. On behalf of Nobel Media with YesPleaseThankYou. Experience the evolution of the human brain from brainstem to neocortex and stimulate brain function with a virtual brain machine interface, the Neuron Wand. Oculus Launchpad Winner. An intimate documentary on the root causes of child marriage and its devastating consequences set in rural Nepal. Created for World Vision and The New Zealand Herald. 360 documentary on the multi-faceted impact of the lifting of the Cuban embargo through the lens of underground electronic music in Havana. In conjunction with VR Playhouse. 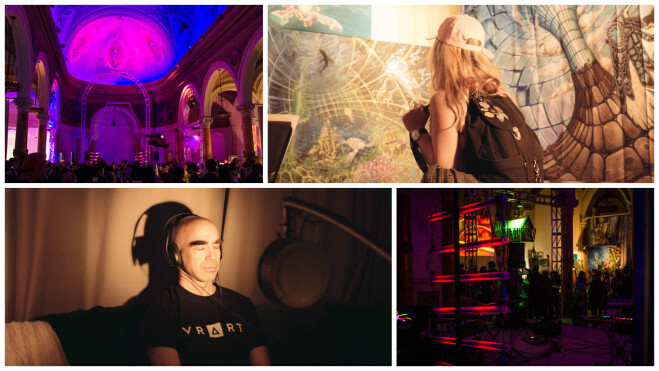 Bringing together the art and technology worlds with immersive events which stimulate discussion and collaboration between divided communities. Internationally renowned immersive media producer with content screening at Cannes, Tribeca, and The Nobel Peace Prize, deep knowledge of the AR/VR ecosystem, and experience designing custom 3D pipelines for AR/VR Applications. Fifer hopes to diversify the VR content ecosystem by empowering other creators. Co-Founder ofARTandVR, a sell-out event series and resource for indie creators, she hopes to bridge the gap between the art and technology worlds. She has also taught courses on VR production to students in the US and Cuba.